Our puppies are welped in our home and stay with us until they are a minimum of 8 weeks old. We breed for temperment, and of course normal healthy puppies. Throughout the 8 week period we monitor the activity of the puppies and evaluate their mannerisms and habits. Socialization is very important for these pups, so aside from each other and their mom, they have our other adult dogs to play with. After the age of 4 weeks they have visitors. This of course includes our children and grandchildren. The grandchildren love to play with the puppies and this breed is very good with children. After observing the puppies through out the 8 weeks we try to place the puppy in a home that will be best for them and ofcourse for the new families. We do have a questionnaire that is required from our prospective buyers that gives us some sort of idea as to which puppy will be properly suited for them. All our puppies have their dew claws removed at 2-3 days old. They are examined by our vet a minimum of 2 times during their stay with us and prior to going to their new homes. They will be dewormed, have their initial vaccinations, become micro-chipped and of course the litter will be AKC registered. When the puppies leave our home they are crate trained and somewhat potty trained. They are also accompanied by an information packet which we hope will help guide the new family. We are always available for any questions. 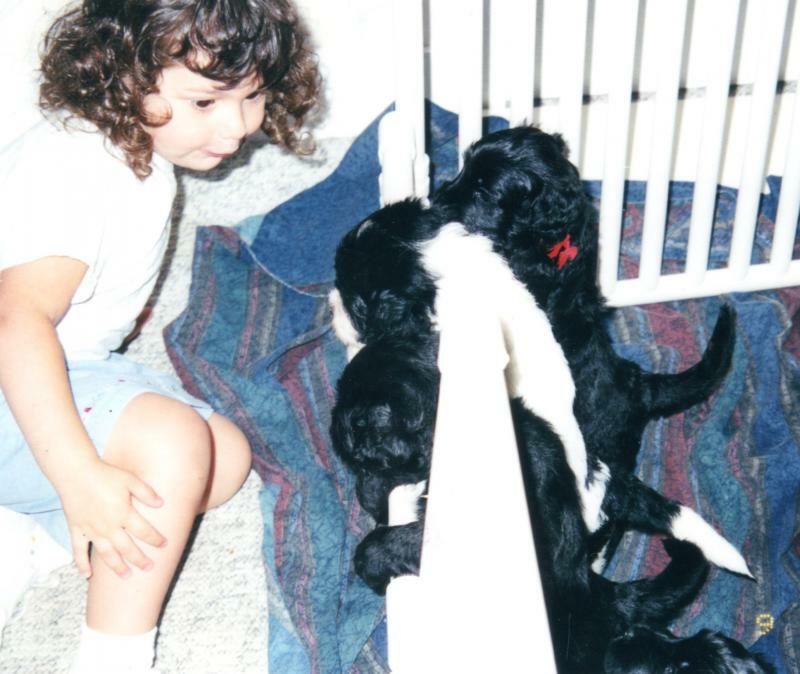 Copyright 2012 doe-sea-portuguese-waterdog-kennel. All rights reserved.